Put your aloha ‘āina skills to the test! Help the “Greenies” stop the “Meanies” and learn about Hawaiʻi’s native and invasive plants and animals. 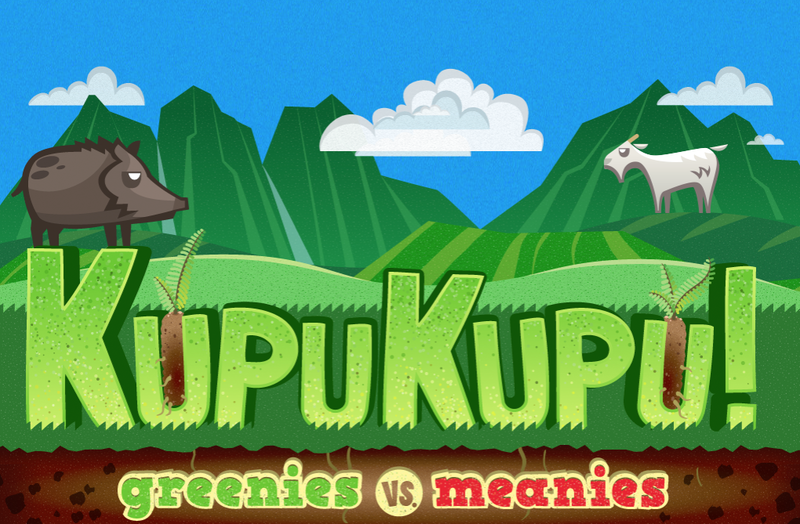 Produced in partnership with Edutainment Resources, Inc., KupuKupu! is a fun, interactive game that combines science and Hawaiian culture to teach environmental awareness and stewardship.